Commercial glass, doors, skylights and automatic doors are just the beginning. Give your business the professional look it deserves. Windows, exterior doors, interior doors, shower doors, mirrors, and skylights! Your home deserves the best quality. Windshields, rock chips, door glass and mirrors – standard or custom fit. Treat your car the way it should be treated. 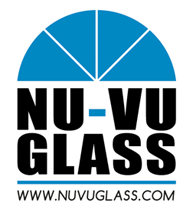 Nu-Vu Glass has three convienent locations in Twin Falls, Burley and Pocatello, ID to meet all of your residential glass, commercial glass and auto glass needs. However we also service those in need in surrounding areas as well. For three generations we've used our skills and experience to open up a bright new world to you and your guests. As an expert Idaho glass installation company we make windows and door glass for your home, your business and for every room with a view. From beautiful glass door entryways and skylights to decorative glass for your shower or bath, we can bring your home to life. We are your glass professionals.